Celebrate the life of Brian Velez at a memorial ride this Sunday. Also: Long Beach Transit re-org, regional SGV walk/bike plan, linkage fees, T-Committee, New Urbanism speed dating, and more. Tuesday 10/10 – The L.A. City Council Planning and Land Use Management (PLUM) committee will hear the latest version of a proposed linkage fee on new development to fund affordable housing. PLUM will meet at 2:30 p.m. at room 340 at L.A. City Hall, at 200 N. Spring Street (public entrance on Main Street), in downtown L.A. Details at meeting agenda. Wednesday 10/11 – The L.A. City Council Transportation Committee will meet starting at 1 p.m. at room 1010 at L.A. City Hall, at 200 N. Spring Street (public entrance on Main Street), in downtown L.A. Topics to be discussed include disabled placard parking, street reconstruction interactions with Vision Zero, and more. Details at meeting agenda. Thursday 10/12 – The New Urbanism Film Festival (NUFF) hosts NUFF Talks – described as “fun urbanism/filmmaking speed dating” and part of the Urbanism Filmmaking Challenge. Thinkers and leaders give seven-minute long presentations on various L.A. topics, which filmmakers can choose to work on as part of the competitive filmmaking challenge next week. NUFF Talks takes place at 7 p.m. at 5971 W. Third Street in Mid-City West. Details at NUFF website. Friday 10/13 – The 5-city San Gabriel Valley Regional Pedestrian and Bicycle Plan, a project of BikeSGV, Alta Planning, and the SGV Council of Governments, is hosting a series of public input meetings. The first meeting takes place from 6-9 p.m. at La Puente Live/Farmer’s Market at Main and First Streets in downtown La Puente. Meetings continue Saturday 10/14 (Montebello), Saturday 10/28 (Irwindale), Tuesday 10/31 (Glendora), and Friday 10/3 (Monrovia). For details, see the plan website. If you are unable to attend in person, give input via an online survey. Saturday 10/14 – Long Beach Transit is hosting public input meetings on its Systemwide Transit Analysis and Reassessment (STAR) Initiative. Meetings continue Saturday from 10 a.m. to noon at Silverado Park Community Center at 1545 W. 31st Street. The final meeting is next Saturday 10/21 (Houghton Park). Additional details at The Source. Saturday 10/14 – Finding Los Angeles by Foot author Bob Inman hosts an eight-mile walk through Los Feliz and Silver Lake. The demanding walk starts at 10:30 a.m. at the Vermont/Sunset Metro Red Line Station. Details at Facebook event. 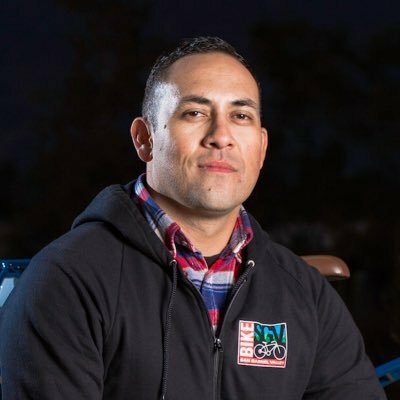 Sunday 10/15 – Sadly, Bike San Gabriel Valley (BikeSGV) will host a memorial ride in remembrance of Brian Velez, BikeSGV outreach coordinator and reporter for Streetsblog L.A.’s ConnectSGV podcast. Velez passed away unexpectedly on September 27 at age 33. The slow-paced memorial ride will gather at 5 p.m. at the Chalan Rest Stop on the San Gabriel River Path where it crosses Arrow Highway below the Santa Fe Dam in Irwindale. This is a night ride, bring lights. Details at Facebook event. Next week Thursday-Sunday 10/19-22 – The 2017 New Urbanism Film Festival hosts screenings, panels and more.